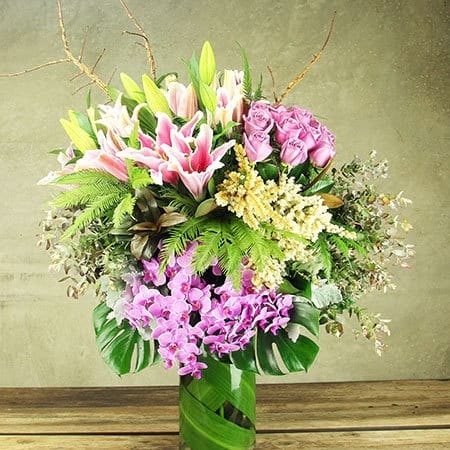 Our stunning, premium vase design features a mass of pink florals that will take your breath away. Perfect for special occasions and when you want to seriously impress! 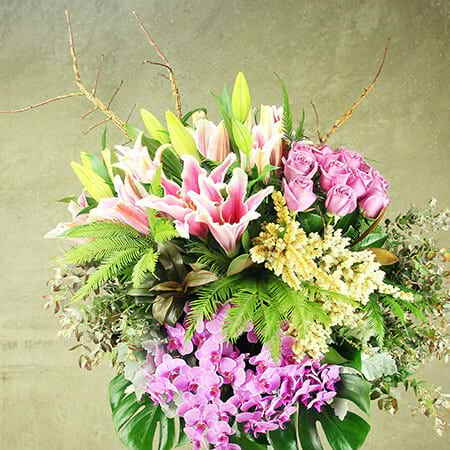 This flower arrangement stars a blend of perfumed pink oriental lilies, fresh pink roses and cascading pink butterfly-shaped orchid stems. Seasonal loveliles such as dainty white pierus give the design a soft romantic vibe, tall branches add drama, and an abundance of foliages provide depth and contrast. 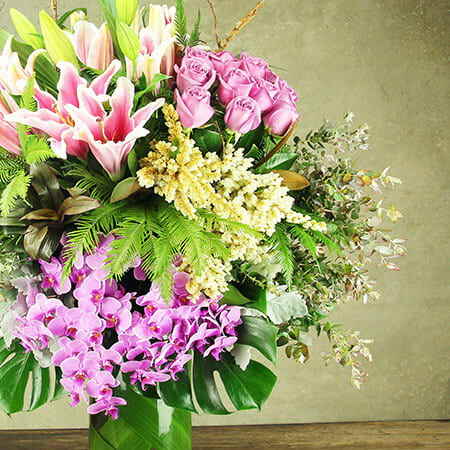 These flowers are delivered for Sydney only.